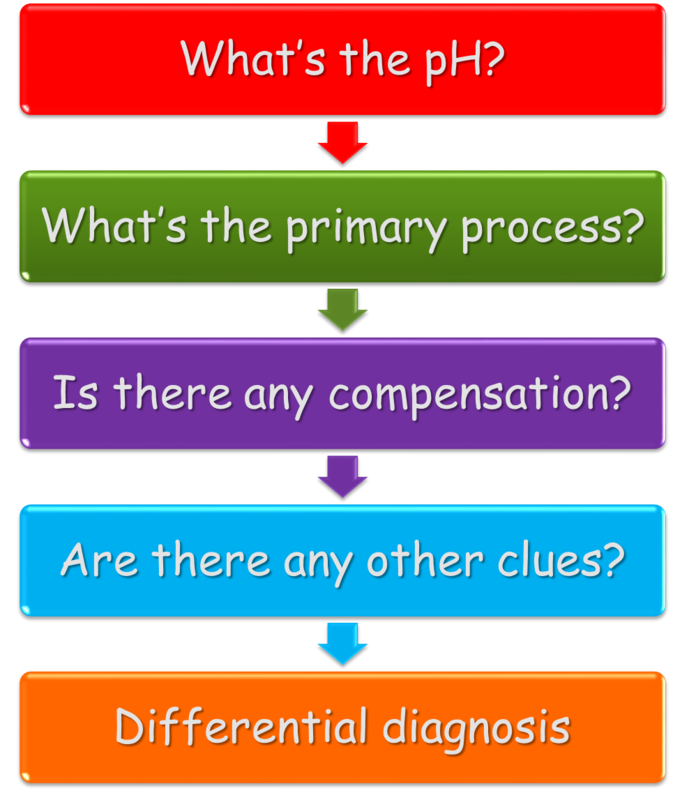 Consider evidence from history, examination and investigations to formulate a complete acid – base diagnosis. In some cases, further biochemical testing may be useful (e.g. drug levels, urine ketones) for confirmation of the diagnosis.